Financial accounting represents a broad swath of accounting field and has considerable overlap with general accounting programs. Financial accounting programs teach students to understand the framework of accounting practices and to apply that framework to ever-changing business practice. Coursework on this subject is offered from the associate's to the doctoral degree level. In addition to general accounting, financial accounting students may learn about economic theory, risk management, real estate investments, money management and taxation. Graduates will be prepared to monitor the financial activities of an organization and to report these findings to decision makers. Financial accounting is a vital element to effective business practice all over the world. People that enroll in degree programs focused on financial accounting can learn more about how business transactions are recorded, income is documented, employees are paid, and taxes are filed within private and public organizations. As part of their general responsibilities, professionals in this field are tasked with creating reports and worksheets that document these transactions in order to provide their organization with current financial standings and possibly provide recommendations for change. Without financial accountants, companies would be forced to manage all of their financial transactions and budgeting on their own – which could pose issues in efficiency for their organization as a whole. The goal of the financial accountant is to account for all funds that are moved through an organization. This may include what is spent, what is earned, and the output of funds for employee salaries and overhead. 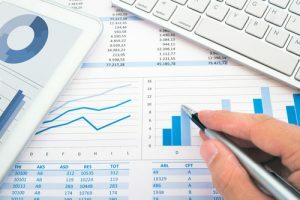 Different businesses may have different types of spending and income, so it is important for individuals within this field to have a widespread knowledge of accounting for these situations. By balancing all of these items, financial accountants can provide an accurate reporting of a company’s total profit or loss for each year that they are in operation. Degree programs in financial accounting can also teach students how to prepare these statements for yearly taxes, find write-offs and other tax benefits that can benefit their organization, and methods for preventing fraud and undocumented finances. The job of the financial accountant can also branch out into different specialty classes such as budgeting, auditing, and taxation. Each of these fields can provide the same benefit to the companies in which they serve, making financial accountants very important to effective business practices. Degree programs in financial accounting can help to provide you with the knowledge needed to excel within different areas of business, private practice, and government. If you are interested in learning more about this field and the degree programs available, read more in the guide that follows this section. What Can I Potentially Earn as a Financial Accountant? Curiosity about what your earning potential is as a financial accountant is completely normal during the choice process. People typically choose degree programs that they enjoy, but that can also provide well for their future. Financial accountants can have very different incomes depending on the area in which they live and the companies they work for. People that work in private practice may also have diverse earnings compared to those that are contracted with other agencies..
Financial accountants are extremely important to those that employ them. Their skills and expertise can help to keep a company on track with its financial goals and prevent any unwanted attention from the IRS. If you choose to become part of this field, your earning potential may be determined by the amount of experience you have in the field, the type of business that you plan to work for, and the specific work that you do within that organization. The average salaries below can give you a good idea of what to expect in terms of earnings for the positions listed. Financial Managers – Manufacturing: $121,270 on average per year (BLS). Financial Managers – Finance and Insurance: $117,870 on average per year (BLS). Accounting is a vital aspect to individuals and corporations that see large amounts of income and expenditures within a given year. The field of business has allowed for large opportunities of growth for financial accountants, since their services can contribute to the success of companies that use them. If you are considering enrolling in a degree program for financial accounting, you might be interested to discover that this field may see significant growth over the next decade. Considering that the United States is one of the leading countries for consumption, it is easy to see why businesses thrive within its borders. The increase in the amount of businesses and services provided by organizations throughout the country has lead to the importance of financial accounting within those organizations. The Bureau of Labor Statistics estimates that the field of financial accounting could see a growth of 19% in the next decade (BLS). In comparison to other financial fields, this anticipated growth is incredibly larger. For people that desire a popular field that has the potential to become even more sought after in the future, this is definitely one to consider. As you move towards making your decision, growth and reliability are some of the most important things to consider before enrolling in a degree program. Bachelor’s degree programs in Financial Accounting are a great way for new college students to get started in the field of accounting. These programs usually require that students begin by completing prerequisite courses and general education courses at the beginning of their experience in order to prepare them for focused learning in the last 2 years of their program. Courses that are common at this level may include general education classes such as English, History, and Science. In addition to these generalized components, students may take entry level accounting courses such as Introduction to Accounting, Accounting II, and Business Finance. Some highlights of the bachelor’s program are listed below this section. Students that have already completed a bachelor’s degree program may be interested in advancing their current career or moving to a new field altogether. Most Master’s in Financial Accounting degree programs invite students from Accounting, Mathematics, or Business majors into their master’s programs. While in the master’s program, students may take courses that advance their knowledge of financial accounting, without the additive of general education components. Courses that are common at this level include Tax and Auditing, Personal Financial Reports, Cost Accounting, and Business Law. Each of these courses can provide better insight into what is required of professionals at this level. There is more information pertaining to this degree level beneath this paragraph for you to review. Regardless of your current educational level, obtaining a degree in financial accounting can help expand your capabilities as a business professional. The courses that you take during your experience can assist in helping you become more knowledgeable professional within the field of financial accounting. Our team of educational experts has reviewed some popular degree programs within this field in an effort to give you a little more information about the topics that are covered within these degree programs. Read more about courses within these programs below. Students within this course can be introduced to the different topics such as procedures, practices, and laws surrounding cost accounting. Topics discussed throughout this course may be relevant to both for-profit and non-profit agencies and can benefit students as they move forward in their degree programs. Cost systems, behaviors, and accounting tools are some of the key elements that this course may cover. Part of being a successful accountant involves knowing how to properly create financial reports and what information to include on each one. This course may deliver financial reporting tools and methods to students, including those that are relevant to filing income tax, pensions, stocks, and property costs. Auditing as a course can help students understand the methods and procedures that are required for internal and external audits. Students taking this course may also study the laws and ethics surrounding auditing, as well as what is expected on final reports throughout the process. What are the Advantages of Online Degrees in Financial Accounting? As a working professional, you may be constantly searching for ideas about how to advance your career without having to give up the career that you already have. In some cases, busy parents and hard working adults may lack the free time to consider a higher degree program, which can hold them back from their full potential. In recent years, the influx of online degree programs has provided a subtle solution to this dilemma. Online degree programs are great options for those that wish to pursue a career in financial accounting, without having to sacrifice time or valuable working hours. Online degree programs can promote individuality and flexibility for students involved. If you are searching for a degree program that can allow you to work at your own pace and on your own time, you may be a great candidate for an online degree in financial accounting. These degree programs often consist of asynchronous learning environments, which allow you to finish assignments and attend class on your own schedule. The communication that takes place within the online environment is often more preferred than those in traditional environments. Through the online course room, students can easily contact instructors or other students when needing assistance with homework or other aspects of the curriculum. In traditional environments, students are often tasked with setting appointments with instructors during office hours or calling offices in order to get the answers they need outside of normal class time. The quality of online programs is also comparable to what you can find in the traditional setting. Degree programs that require accreditation can be provided in both traditional and online format, which can be a breath of fresh air for students that are looking for convenience and quality. Students can easily review a degree program’s accreditation by checking the school’s website or speaking with employees within the admissions department. What types of financial accounting careers are there? Being a financial accountant can mean more than just providing income statements and financial advice to companies in need. Having a degree in financial accounting can lead to many different career options, depending on what interests you as a professional. Take a look below at some of the common careers that are possible for graduates within this field. As you can see from the list above, your capabilities as a financial accountant can move beyond what most people expect. With the variety in career opportunities, it is easy to see that the job duties included within each specialty may also be very diverse. For some careers, financial accountants may be responsible for creating yearly cash flow statements, filing taxes, and ensuring that financial statements are up to date and accurate. In more diverse fields, financial accountants may make recommendations for spending, as well as investments within the stock market. Financial accountants typically have skills that can help during purchasing and sales for big name businesses all over the country. The expertise that professionals in this field have can be useful during program planning at the government level, determining the level of risk a company is at according to its current financial state, and providing internal audits that can prepare companies for tax time or federal reviews. Each of these tasks is usually assigned to experienced accountants that have the skills to ensure their company meets expectations. All in all, this career field can include many different roles and responsibilities depending on the type of career you choose. You may spend your day reviewing and documenting expenses, providing management with current financial standings or recommendations for budgeting, or even reviewing the previous year’s spending to ensure that your company is on track. These duties can help to solidify a company’s reliability as a business or even protect those that work hard to ensure its stability. If you seek a career that has a major impact on the field of business, this could be the field for you.